If you've got a drama queen to buy for this winter, this list is for you. And by "drama queen", I mean someone who's totally into acting and theatre, of course! 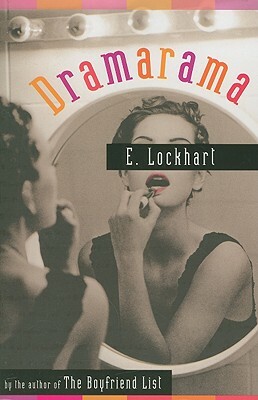 Dramarama by E. Lockhart is a story about a girl from a razzle-dazzle-deprived small town who dreams of making it big. When she and her best friend Demi go to summer theatre camp, Sarah's sure that she's going to steal the show and find true love. Well, things don't turn out exactly as she had planned... 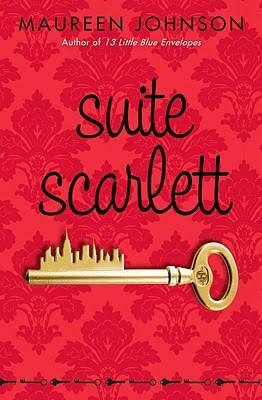 If you're buying for a teen who loves musicals, take a gander at this one. 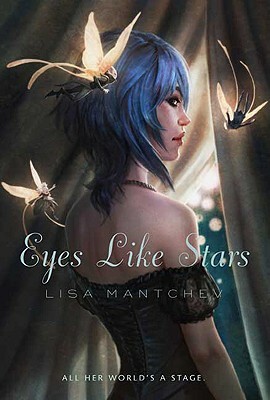 And if you've got a Shakespeare fan in your midst, consider Eyes Like Stars by Lisa Mantchev. Bertie has been raised in the Theatre Illuminata, a magical theatre where the Players (characters of every play in existence) live, just waiting until show time. When evil forces threaten to destroy the theatre, Bertie must find it in herself to save the only home she's ever known. (Read my full review of Eyes Like Stars.) Pair it with a volume or set of complete Shakespeare works. 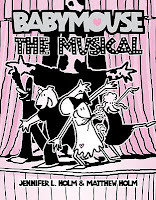 I can't resist a plug for Babymouse: The Musical by Jennifer L. Holm and Matthew Holm. 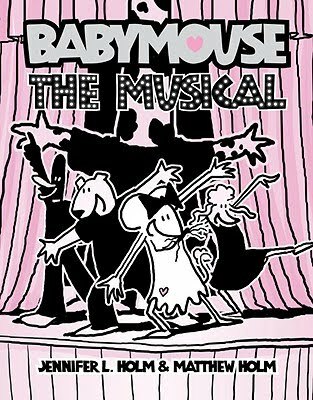 The school's putting on a musical and when dreamy British newcomer Henry encourages Babymouse to try out she can't help but show up at auditions. When she's given the part of Felicia's understudy, Babymouse is sure she'll never get on stage. With tons of musical references (from Phantom to West Side Story to Evita to Fiddler and more! ), this is a surefire hit with any fan of musicals. What can I say? I love me some Babymouse. Oh, Abby, can I suggest My Most Excellent Year by Steve Kluger, too? It's a wonderful book for drama fans (though there's a lot more to it than that). I'm enjoying this series a lot!